Obituary for C. Gene Penzel | McCombs Funeral Home Inc. 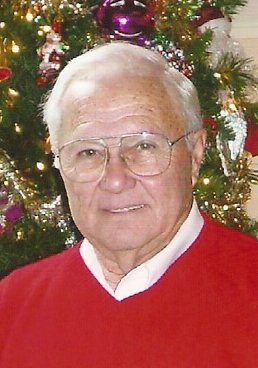 Surrounded by his loving family, Carl Gene Penzel, 84, of Jackson, passed away Tuesday, November 20, 2018, at St. Francis Medical Center in Cape Girardeau. He was born January 10, 1934, in Jackson, to Carl Linus and Mettie Jane Killian Penzel. He and Linda Marie Riney-Wilson were married June 14, 2001, in Jackson. Gene was a 1951 graduate of Jackson High School. He attended Southeast Missouri State University one year for pre-engineering, and graduated from the University of Missouri, Rolla, in 1955, with a bachelor’s degree in civil engineering. Gene was a lieutenant in the U.S. Navy, serving honorably from September 19, 1955 to April 21, 1959. He went to officer candidate school in New Port, Rhode Island and flight training in Pensacola, Florida. He was air-craft landing qualified and a designated naval aviator. He was assigned to advanced flight training and was the first student in Kingsville, Texas to be an instructor in jet aircraft. He taught fighter tactics, instruments, cross-country navigation, bombing, gunnery, and air craft carrier qualification. Gene enjoyed flying for many years after his military career. After his naval service, Gene returned to Jackson and joined his father, Carl, in managing the family business, Penzel Construction, Inc., in Jackson, which was established in 1910 by Gene’s father, Carl Penzel, and his grandfather, Linus Penzel. Gene enjoyed many years as an engineer in commercial construction, serving as president of the company from 1981 to 1996, at which time he turned over the reins to his son, Phil. Gene continued to work on jobs until his retirement in 2002, at which time he was able to dedicate more time to the family farm, Pinecrest Azalea Gardens between Oak Ridge and Millersville, Missouri. Gene was a lifelong member of Emanuel United Church of Christ in Jackson, serving in various capacities. His other memberships and affiliations include: the Academy of Civil Engineering, UMR; Associated General Contractors of Missouri; Society of Professional Engineers; SEMO Contractors Association; Jackson Industrial Development; Cape Industrial Recruitment Association; Jackson and Cape Girardeau Chambers of Commerce; Jackson Heritage Association; SEMO Regional Port Authority; former alderman for City of Jackson. He was awarded the R. A. Fulenwider Award, the Sam Walton Business Leader Award, and the Mississippi Valley Family Business of the Year Award. In his senior years, Gene became an avid tri-athlete, twice participating in the Ironman triathlon in Hawaii, receiving 6th place in 1995 and 9th place in 1996. He was also proud to have carried the olympic torch through Jackson in 1996. Loving survivors include his wife of 17 years, Linda Penzel of Jackson; children, Philip (Sandy) Penzel, Chris Penzel, Jim (Lisa) Schamburg, all of Jackson, and Kimberly Wilson of St. Petersburg, Florida; grandchildren, Andrea (Justin) Gorman of Kansas City, Missouri, Allison (Adam) Grant of Jackson, Conner Penzel of St. Louis, Courtney Penzel of Kelso, Missouri, Caitlynn and Chelsea Schamburg of Jackson, Sterling McCarroll of San Tan Valley, Arizona, and Hyland McCarroll of Oak Ridge, Missouri; two great-grandchildren, Rhett Grant and Leo Gorman; and his twin sister, Carole Jane (the late Ray) Hebenstreit of St. Louis, Missouri. He was preceded in death by his parents and his father-in-law and mother-in-law, Melvin and Delores Riney. Visitation is from 3 to 8 p.m., Friday, November 23, 2018, at McCombs Funeral Home and Cremation Center in Jackson. The funeral is at 10 a.m., Saturday, November 24, 2018, at the funeral home, with Rev. Sam Roethemeyer officiating. Military Honors and interment will follow at Memorial Park Cemetery in Cape Girardeau. The family appreciates memorial contributions to St. Jude Children’s Research Hospital or the Pinecrest Azalea Scholarship Fund at Oak Ridge High School, which benefits a student that will attend the University of Missouri Science and Technology.